VIKRAM COLLEGE OF EDUCATION, Training and Research aspires to be a leading institution in the country offering quality teacher training, which in turn, through inculcating a spirit of lifelong learning, will nurture and create an inspired student fraternity.. Furthermore, we aim at moulding our students into holistic individuals armed with essential life skills. They will have the awareness of the important role played in this journey by their educators and show them due respect and love. Instilled with these characteristics, our students, for sure, will step into the world, ready to take on the challenges therein and help in shaping a world of unity and peace. The B.Ed. Program aims to train teachers for the schools in the government/private sector in India. 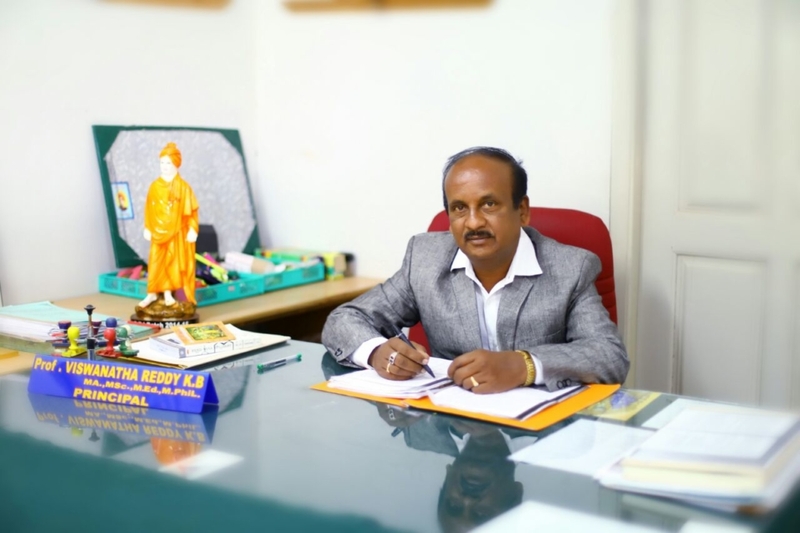 The curriculum and evaluation systems adopted by the college are similar to those used in the Colleges of Education in the state of Karnataka. We ensure and reiterate the development of domain knowledge and teaching skills. The educators apply their educational and experiential knowledge to handle and train the students who are diverse in their linguistic and cultural backgrounds and their behavioural and learning abilities. We engage Senior/Guest faculty in seminars and orientations to further improve students in their theoretical knowledge with the ultimate goal of application of this learning in their life. The strong focus on practicals ensures that the students are engaged in hands on learning and work experience through the span of the course.. Each semester, the students are involved in practical work that helps them complete a research project, the area of which is determined by the students’ future career goals. At this juncture, it is only right that we acknowledge the overwhelming and continual support and encouragement of our stakeholders. They have been the root cause for the phenomenal rise and growth of SLES Group of Institutions from the time of its inception. They have been instrumental in making us competitive and unique amongst the best private institutions in Karnataka. We sincerely hope that this support from our students, parents and stakeholders remains with us and helps us move forward to exceed our aspirations. Vikram college of Education, is the realisation of the educational dreams of Sri. 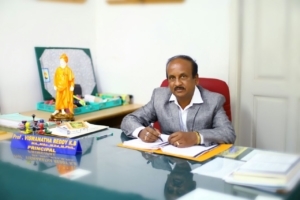 C.N Narasimha Reddy, the founder President of Sri Lakshmi Educational Society ®, Chintamani. He envisioned a better future for our young and spirited student body, through a holistic program.This program involves the integrated development of the mind, body and spirit, leading progressivley to a complete and balanced individual.With this goal in mind, the motto of the college is to provide quality teachers’ training to the prospective educators and facilitators. Undoubtedly,a superlative teacher body runs parallel with this unique instituition- a winning combination which aims at nurturing a community of visionaries and intellectuals. The programs offered efficiently integrate dispersal of theoretical knowledge alongside practicals or application of this knowledge. Being a strong value based system, we strive towards building a student body that remains firmly rooted to their ethical and moral values.We believe that each of us is born with a strong desire to learn and grow.The instituition,through its innovative teaching methodologies, taps on this potential and encourages them to aim high and strive towards their ambitions.